Can the right subscription box save your diet? Beyond the promise of a monthly thrill, what do these boxes offer? Don’t accidentally gorge down an entire box of skimpy snacks. Instead, choose a box that keeps delivering all month long. We put a Keto Delivered subscription box to the test. Is it cheaper to buy at the store or online? Does it really save that much time? And does it do anything else? Keto Delivered boxes are curated by notorious keto authority Craig Clark of Ruled Me. Think of Craig as your personal shopper – delivering recipes, coupons, discounts, keto goodies and gourmet ingredients for you to build exciting keto meals each month. Craig won’t send frankenfoods or a box of set-me-off-the-deep-end snacks. You’ll get nutritious, high quality ingredients perfect for multiple keto recipes. Worth-it keto boxes must deliver continuous value and be more than simple snack crates. Subscription boxes are a convenient way to add healthy ingredients to new meals, but are they worth the cost? You want to add excitement/something different to your diet. Perhaps you like experimenting or playing with your food. 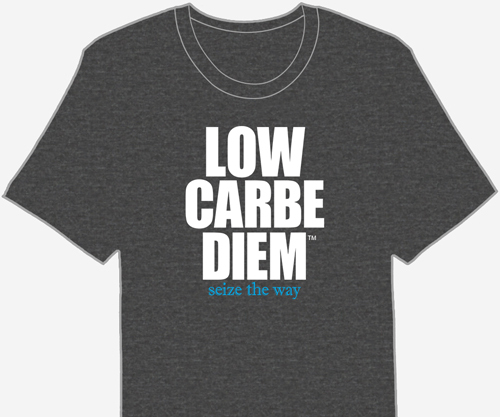 Maybe you’re testing out low carb and want to make sure there’s enough variety in your meals to stick with it long-term. Keto Delivered doesn’t do dishes, but you’ll have plenty to clean from the meal possibilities waiting in your box. Of course you expect more than a box of snacks! You crave real keto ingredients to make multiple low carb meals – all month long. Keto Delivered Helps Weight Loss? Yes! Keto Delivered boxes are an incentive to stick to your diet. The flavorful, artisan ingredients keep your meals interesting. The snacks and ingredients have healthy fats, and keto macros – a perfect fit for your net carb allowance. You crave a taste of the high life – at a reasonable price. You want to indulge (safely) and reward yourself for sticking to your diet. Let’s get down to business. When deciding if a Keto Delivered box is worthwhile, consider the retail cost of the keto foods, taxes, shipping fees and the time spent shopping to make your own box. If you can find a subscription service that saves both money and time, you’ve hit the jackpot. Keto Delivered saves both – then adds featured recipes, special discounts and coupons for keto products. Does Convenience Come at a Cost? There’s no point running around town from store to store, spending even more money in the process. If you research then shop your favorite website for low carb groceries, choose a few interesting things and make your own keto box – it usually costs more. And now you’ve spent another hour of your day running errands. Sounds Promising, But How Much Is It? Keto Delivered boxes cost under 40 US dollars (just over $1 a day per month) and ship free. Your subscription box dollars support the small businesses that provide the keto goodies. Author’s note: We double-checked local and online prices for the six items in our Keto Delivered subscription box. The three items reviewed in this article, purchased in-store/online (Keto Snack Bars, Keto Shakes, Garlic Pepper Tea Oil) cost almost as much as the entire Keto Delivered box! Worth it. Keto Delivered is a month-to-month service with NO long term commitments. Ordering a box each month is up to you and totally optional. You’re never billed until you order. If you’re a keto foodie, and don’t have time to research or shop for low carb groceries, subscribing to Keto Delivered makes financial sense. Like many low carbers, you enjoy the thrill (and total convenience) of subscription boxes. You look forward to brand new keto foods every month. Your keto box is a special, surprise treat. Your box is a reward for eating on plan, and possibly a healthy “bribe” to stay on your diet. Keto Delivered is your safe indulgence. If a time and money-saving reward boosts your self-esteem or makes you happy – it’s worth it. The Test: Does it Deliver? There were six goodies in our Keto Delivered box this month. Here are our three favorite items and the recipes they inspired. Does Keto Delivered really deliver? You decide. Each Keto Delivered Box includes discounts, offers and a featured recipe using one of the items in the box. Our box’s featured recipe was Keto Shrimp Alfredo made with Arette’s Tea Seed Oil, infused with garlic and black pepper. TIP: Serving over zoodles increases the portions to six, lowering the net carbs even more. Grab the recipe. Click the image to view, print or save. We grabbed three favorite goodies from our Keto Delivered box and whipped up a dozen easy recipes – versatility at its best! A high-temperature cooking oil with a delicate and neutral flavor. Arette infused this version with garlic and cracked black peppercorns. Tea seed oil is cold pressed from the seeds of Camellia Oleifera, a relative of the tea plant. This oil is anti-inflammatory, high in vitamin E and filled with healthy tea polyphenols. Infused oil is a popular base for salad dressings, marinades and sauces. This recipe re-do is a spin on the featured recipe included in our Keto Delivered box. Add a splash of lemon juice or lemon zest, dot with capers and serve over zoodles (zucchini noodles). Drizzle the oil over roasted meats and veggies: instant appetizer. Arette’s Tea Oil punches up everyday broccoli and cheese soup. Toss cubed Italian meats, veggies and artichokes with the oil and fresh herbs of choice. Arette’s Oil makes a great artichoke/veggie marinade. Fill lettuce boats with spiced-up chunky chicken salad. Include Arette Tea Oil, crispy pieces of bacon and shredded sharp cheddar cheese. Douse chopped olives with the oil for a fast and tangy tapenade. Sautee spinach and bacon with the tea oil. Add feta, chopped veggies and eggs. Pour into a skillet or casserole dish and bake in the oven at 325 F until eggs are set or cheese is golden brown. Super low carb, moderate protein shakes travel well and take minutes to make. Our Keto Delivered box had two different flavors of Keto Shakes: chocolate and vanilla cinnamon. TIP: Boost the fat levels and add a creamier texture: reduce the water and add unsweetened coconut cream, heavy cream or half-and-half. Dissolve one shake packet in hot water. Add cinnamon and vanilla extract. Blend well until frothy. TIP: We used a small, cheapie mini frother and the shake still produced a decadent foam. Add a splash of peppermint extract or a few crushed peppermint leaves. Toss in several ice cubes and pulverize with a hand blender until frothy. This is fantastic topped with whipped cream! A delicious frozen fat bomb! Prepare as above, adding an additional 4 ounces (8 tbsp) of heavy whipping cream. Pour carefully into ice cube trays and freeze. When frozen solid, pop out and store in a container or plastic baggie in the freezer. If you love dark chocolate and coconut, you’ll love Keto Bars. These bars are free of gluten and artificial sweeteners, and have an authentic, crumbly brownie feel. This bar is so delicious, it doesn’t need a recipe. It’s very filling and one bar granted two servings (that’s only 1 net carb per serving). This bar begged to be crumbled and added to ice cream. Add pieces of the Keto Bar to home made vanilla-raspberry keto ice cream. Fasten a chunk of bar on the side. Keto Delivered sends useful ingredients – not just snacks, for less than you’d spend in a store or online. Just three items in our Keto Delivered box easily made the dozen recipes above. These boxes keep delivering all month long. That’s worth it. Save your diet. Explore new ingredients and experience flavor combinations you possibly haven’t tried before. Stay motivated and avoid shopping trips (while remaining frugal). With plenty of new and different meal options at home, you’ll be less likely to dine out – a tempting situation to stray from your diet plan. Besides, restaurant meals are often more expensive than your entire Keto Delivered box. Keto Delivered boxes are backed by keto expert Craig Clark. Craig and Keto Delivered are your personal curators, working closely with small businesses to hand-pick the most nutritious, versatile keto products. Craig’s expertise is well worth the cost, but these keto boxes actually save you money. Keto Delivered boxes are something exciting to look forward to and an affordable alternative to a night of dining out. For a limited time, Craig is giving you a free copy of his Ultimate Keto Cookbook with 200+ keto recipes when you subscribe to Keto Delivered! Give yourself a treat that helps you meet your goals.